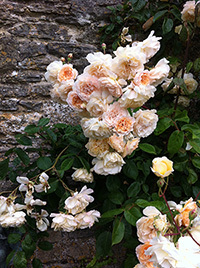 Summer in the Cotswolds—sounds dreamy, right? But it isn’t a dream—we’ve set the dates for our 2020 tour of gardens and you can come along! 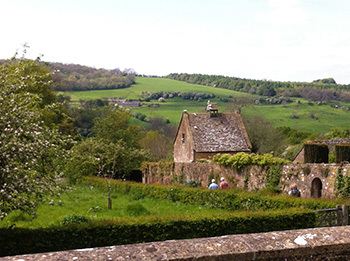 We’ll see landscapes large and small from Oxford down to Bath, and along the way, visit a few places famous for being on film, including Highclere Castle, better known to us as Downton Abbey. Our groups are small and loads of fun. 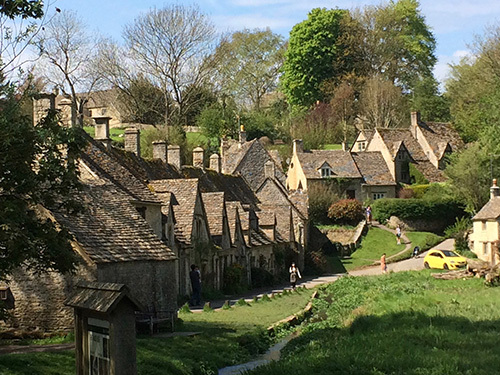 Be sure to watch this space for details—and get on the mailing list from our tour director by emailing him at brad@nwtravel.com with “Cotswolds” in the subject line so that you know when reservations open. We met lots of bicycles and walkers as we made our way into the island to the gardens where our group split in two and we each went off with a guide. 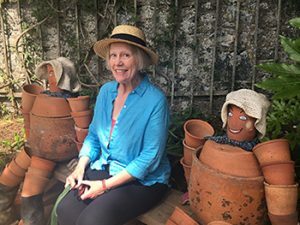 During our tour, I met Bil and Ben, the flowerpot men—from a long-ago children’s BBC television program. 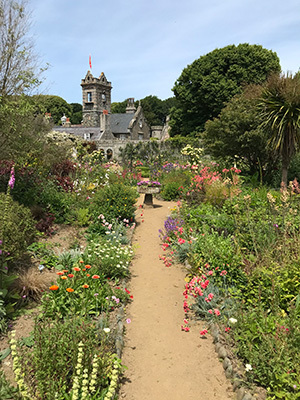 The walled garden has formal beds planted abundantly with shrubs, perennials, and annuals—masses of cornflowers in shades of blue and plum, pillar roses, ground cover roses, shrub roses, cheddar pinks, and frothy masses of pink and white erigeron. 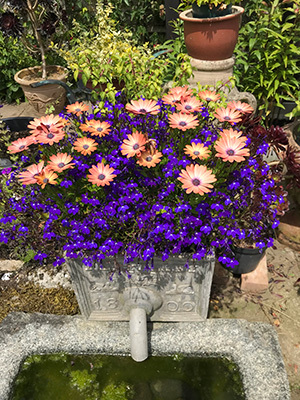 There were intimate details, too, such as stone sinks of Gerbera daisies. 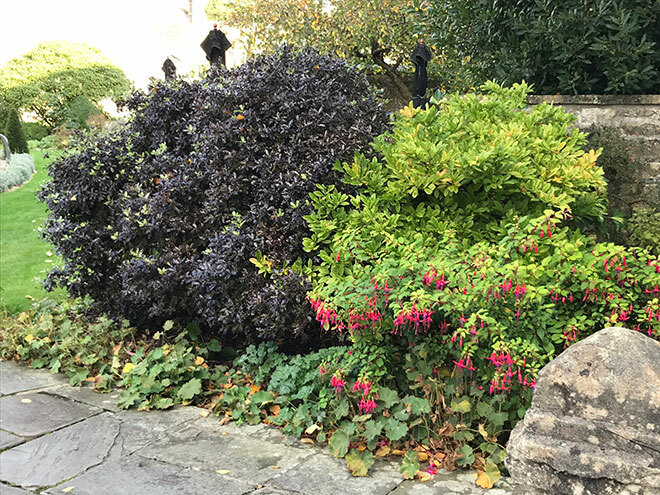 All this was punctuated by cordyline and pittosporum—marginally hardy shrubs for many of us. La Seigneurie began as a priory in the sixth century. A house was built in 1565, and then another in 1675 and that was added to in 1852. 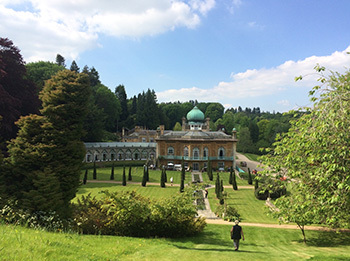 The gardens came along in the first part of the nineteenth century. 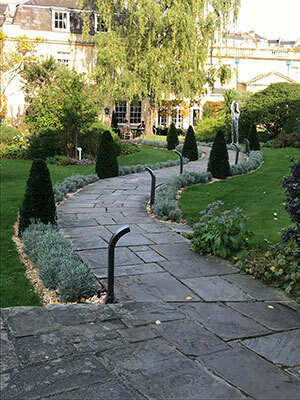 You can make a good day out by visiting not only the gardens, but also strolling the rest of the rest of the island. 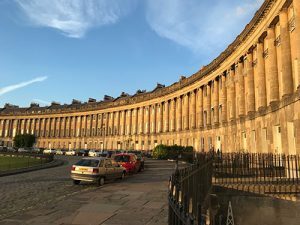 A tasty indulgence—tea at the Royal Crescent Hotel in Bath. 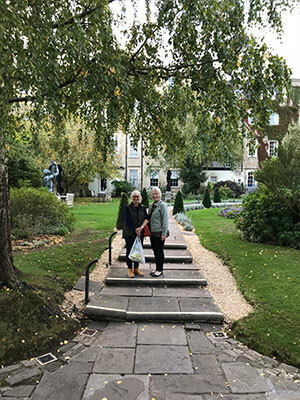 Walk into the lobby, out the back and into the garden—still full of color and interest when we visited in late October last year—on your way to the Dower House. Or sit outdoors in fine weather. 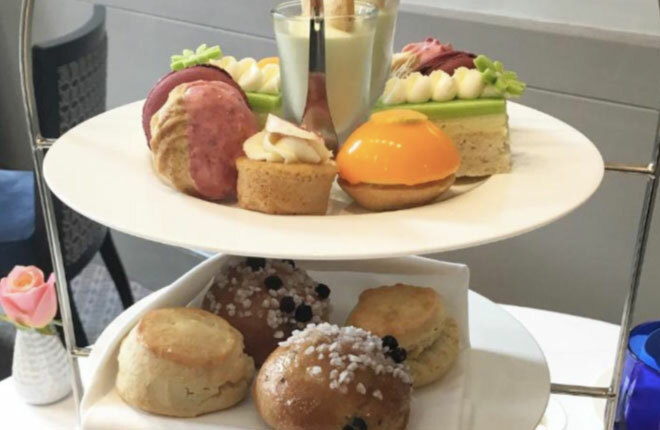 Choose between the Authentic Afternoon Tea (finger sandwiches, lots of cakes and sweets) or the Royal Crescent Tea (more savories)—vegetarian and children’s teas are available too. There was no way to bite into that little mango tart, so it was a mouthful—and delicious!